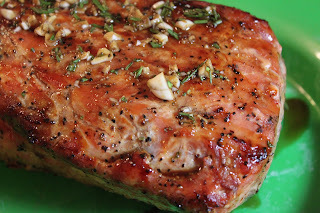 The first meal my husband ever cooked for me when we started dating was a pork loin. Although I did not grow up in a cave, I had never before seen anyone cook a whole pork loin. My dad made his career as a meat cutter, so the meat came to our house already sliced. But, Eric is a fan of the whole pork loin. He enjoys cooking foods that need to be prepared low and slow. It gives him time to chill on the patio and, before he met me, time to impress the ladies with his culinary skills. But, I put an end to that...among other things. However, I kept the tradition of grilling a whole pork loin. I can change, too. This recipe was perfect for a beautiful spring evening, sitting outside and enjoying fresh, new leaves on our Bradford Pears. 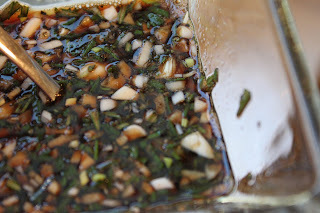 Mix together all of the basting sauce ingredients in a small bowl. Refrigerate until needed. 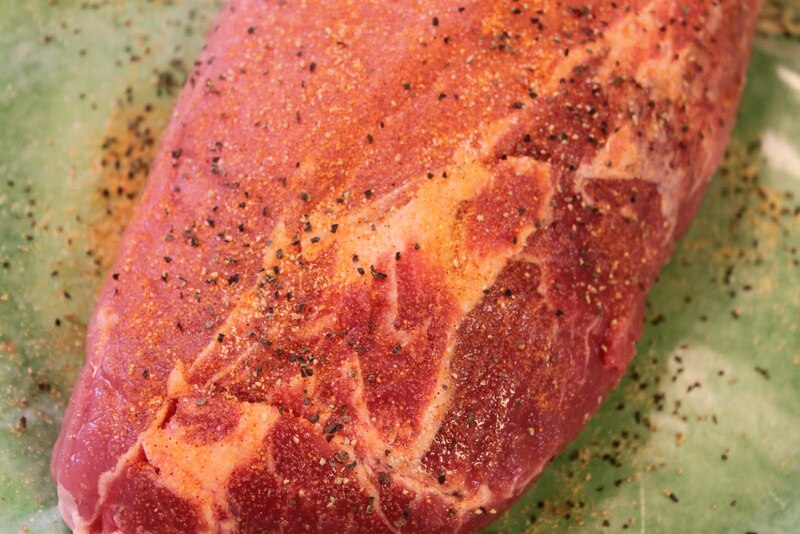 Meanwhile, sprinkle your favorite seasoning blend over the pork loin. Grill on medium heat (about 375 degrees) for approximately one hour. 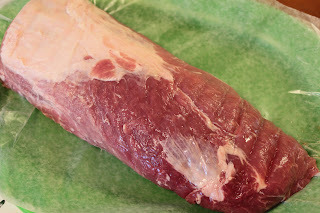 At the one hour point, baste the loin using the sauce. Continue to cook until done. This will depend on the size of the loin. 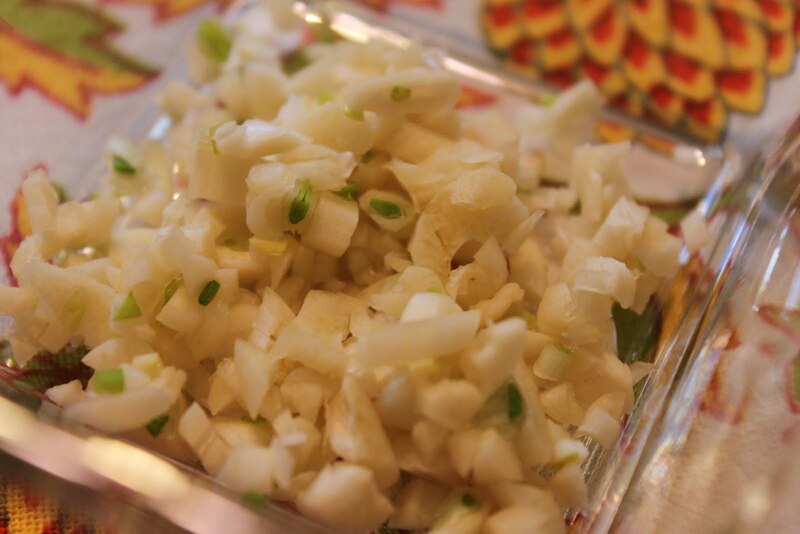 In the beginning, there was garlic. And, they formed a strong bond of flavor. 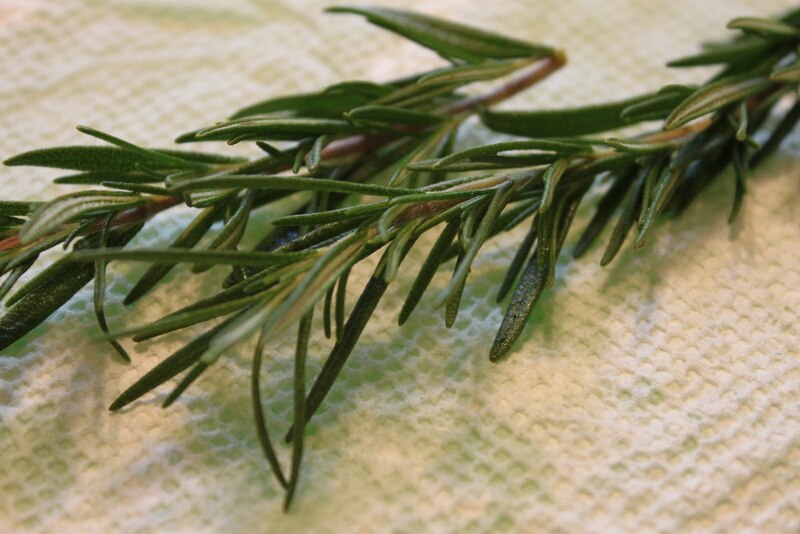 Actually, rosemary is a strong herb. I like it on pork, chicken, and potatoes. 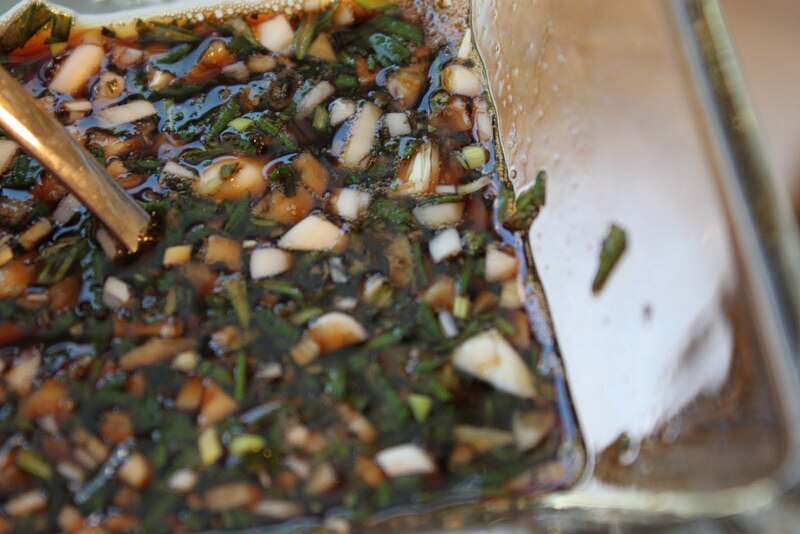 Equal parts of balsamic vinegar, honey, and soy sauce. Add the pepper and salt. Refrigerate until needed. This is a 3-1/2 pound pork loin. I seasoned it well on both sides with my favorite seasoning blend: seasoning salt, garlic salt, and pepper. We cooked the loin for about an hour before spooning on the sauce. Then, we cooked it for about ten more minutes. 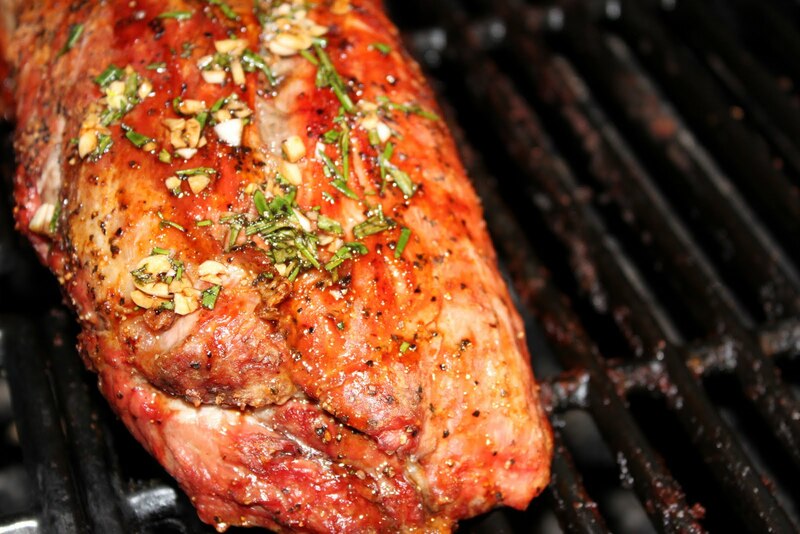 The cooking time will depend on the size of your loin and the temperature of your grill. Let the meat rest so the juices can redistribute. I've always wanted to say that. 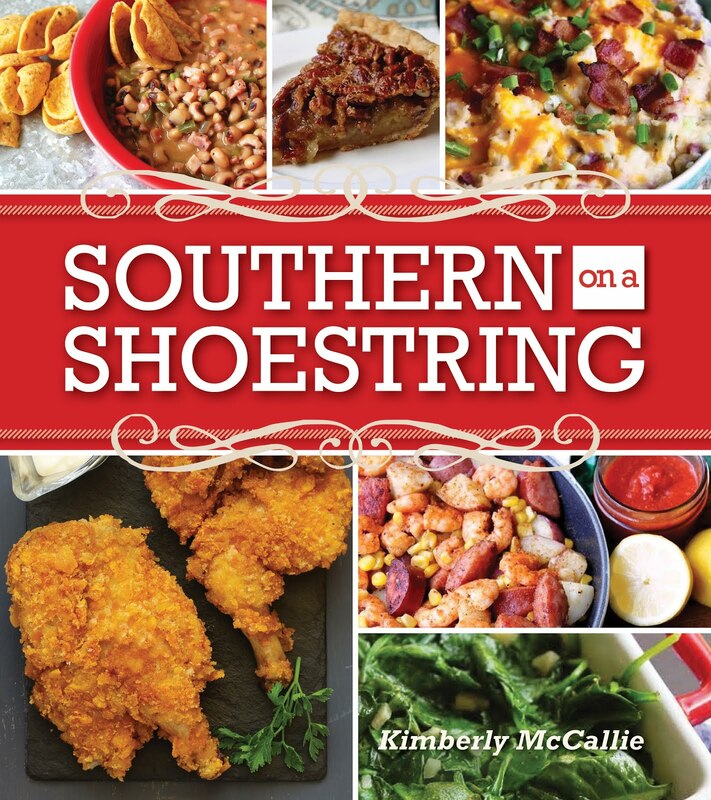 Thanks Food Network! 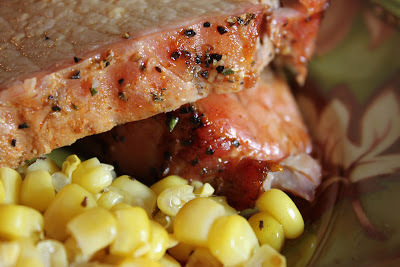 I served the pork loin with the same sides that Eric did so many years ago: canned corn and a pasta salad. Don't mess with tradition! This sounds awesome, Kim. I'm totally stealing. I don't want to sound dumb but don't know much about pork cuts- is a pork loin the same as a pork tenderloin? We've grilled the tenderloin before and it was delish- I want to try this recipe too! Hi What A Dish! Tenderloins can be used, too. They're smaller and more tender than a pork loin. Usually they come two to a package. The pork loin is a bigger cut of meat which is used to cut boneless pork chops. 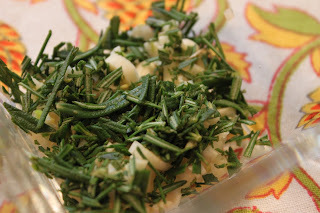 Either cut can be used with this recipe. Just adjust cooking time since the tenderloin is smaller.